Nicole is the current 2010 Olympia Bikini Champion as well as the the 2011 Arnold Classic Bikini International Champion, an amazing feat for such a young star in the IFBB. With regards to her diet, here is a sample daily meal plan that Nicole used to get her champion level physique! Meal 1 - Egg whites, oatmeal plus one quarter cup of fruits. Meal 2 - Four ounces of lean meats plus four ounces of sweet potatoes with vegetables. Meal 3 - Whey protein shake plus some rice cakes. Meal 4 - Lean meats with a salad, preferably spinach. Meal 6 - Four more ounces of lean meat plus vegetables. 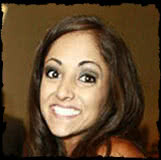 Nicole began weight training at a very early age, with parents that were both fitness oriented! She won her first competitions at the age of 14! She does cardio sessions that can last from one to two hours, depending on her conditioning and how far out she is from a contest.